We continuously add further operators to our data base. All content such as images, videos, text, prices, availabilities, included services, search results and much more is provided by our GoVios backend. No iFrame but fully integrated API calls. 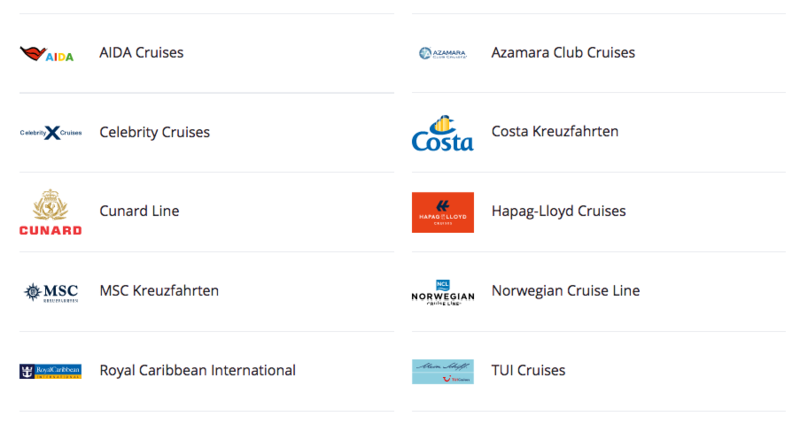 Using this, Online Travel Agencies (OTAs) and other Online Cruise Sites are able to extend and improve their business by offering cruises from all relevant operators for the German cruise market. For demonstration purposes see this website and discover what is possible with our cruise booking technology. Even that site as well as similar sites as a white label solution are part of our portfolio. Interested? Contact us for a 30 days trial to check all API data via swagger!